Luxury condos make up the 22nd Street Residences in the South Side. Unit 202 at 2131 Sarah St. lists for $365,000. All photos courtesy Realtor.com. Generally low inventory has Pittsburgh real estate agents feeling a double punch from the typical summer slowdown in housing sales, but for someone with $350,000 to spend, there are some good deals on the market. RE/MAX Select agent Justin Cummings cites a 3,373-square-foot house he recently listed in Edgewood, with seven bedrooms, hardwood floors, original Craftsman woodwork, box beam ceilings and stained-glass windows–“a lot of house for the money,” he says. In Pittsburgh, a $350,000 asking price is “above average, definitely, but there are a lot of houses in the range,” says Cummings. Here is a sampling. 429 Locust St. in Edgewood lists for $350,000. Description: Built in 1909, this house has the architectural details that Cummings described but a modern eat-in kitchen with two sinks and high-end appliances. Full baths on the second and third floors have been remodeled as well. “It can be six or seven bedrooms, depending how you use it,” he says. The house has a large front porch, one-car detached garage, patio, yard and garden. 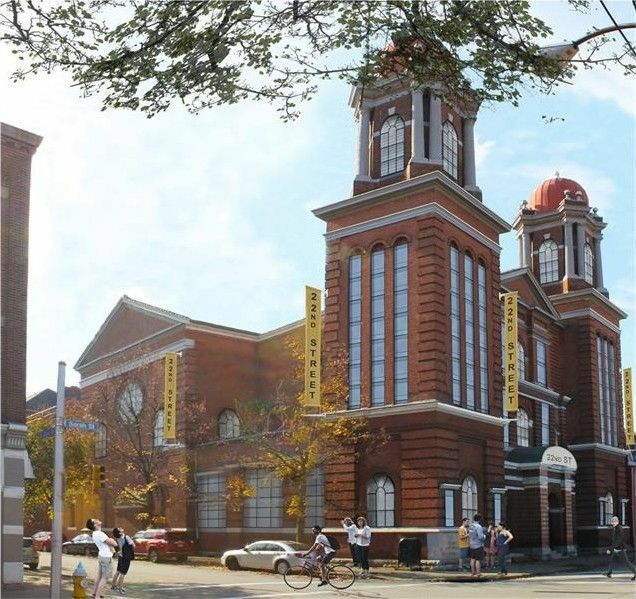 It’s close to Regent Square businesses, Frick Park and the Parkway East. 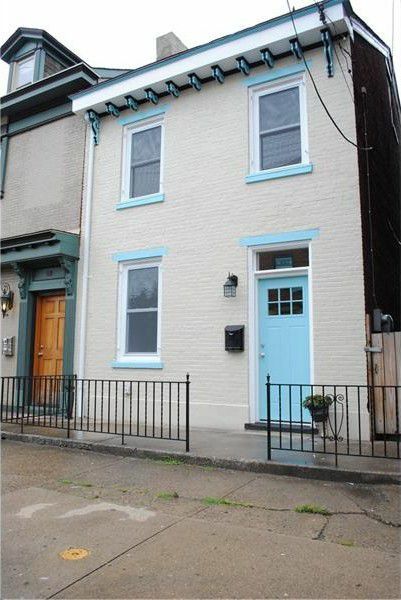 7142 Meade St. in Point Breeze lists for $350,000. 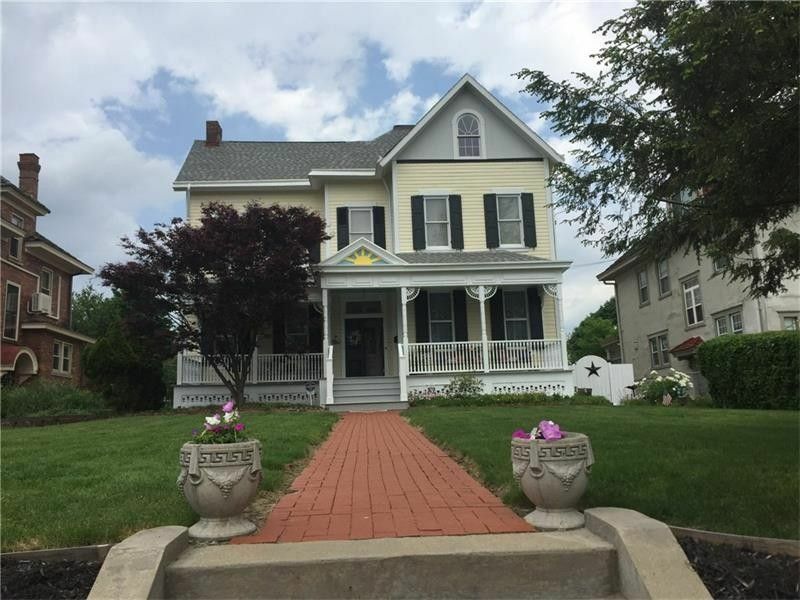 Description: This four-bedroom, 1.5-bath home built in 1903 is nestled on the one-way section of Meade and has been updated to include modern necessities such as an Ikea kitchen and first-floor laundry, says Nia Baton-Soffietti with Steiner Realty. Its leaded glass front door is original, but the built-ins flanking a decorative fireplace in the living room are new. The master bedroom is in the rear with an attached office that could be converted into a master bath. The third floor has two large rooms. 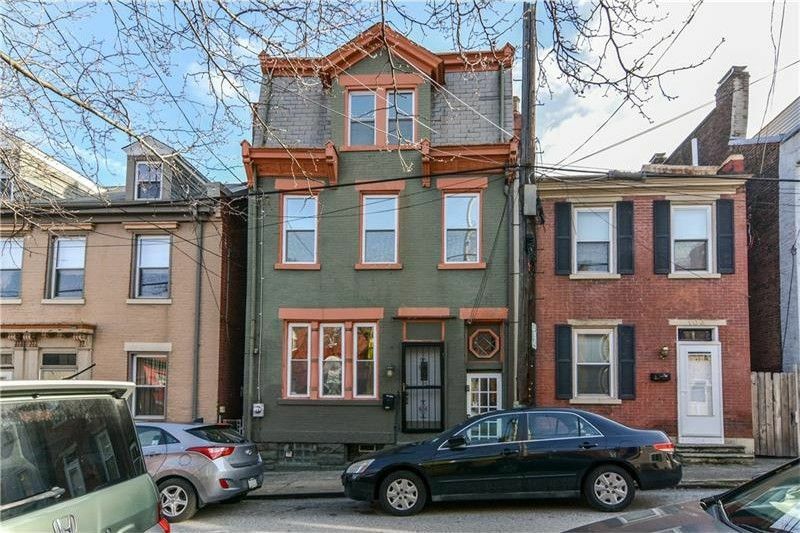 4813 Hatfield St. in Lawrenceville lists for $349,900. Description: This renovated 1910 row house in Lawrenceville has two bedrooms and two full bathrooms. 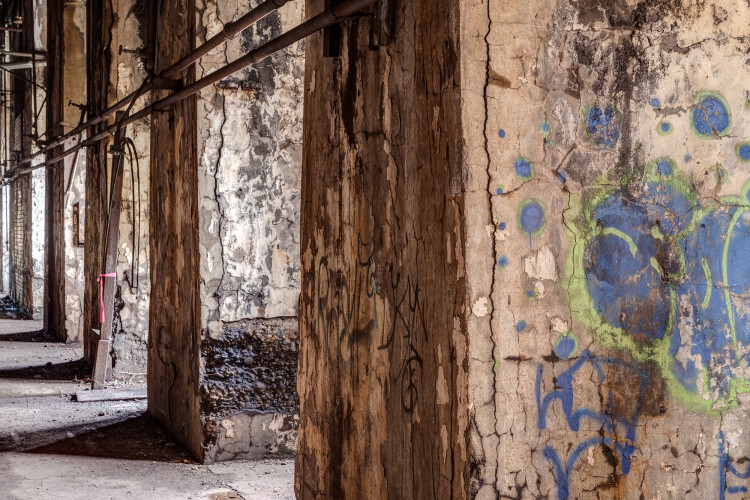 It’s located on a quiet street not far from the neighborhood’s shops and eateries. In addition to its kitchen with new fixtures, stainless steel and granite, Howard Hanna agent Caryn Rosenthal points out the bamboo flooring throughout, new windows that provide lots of natural light, and good storage space. A front porch and private backyard add living areas. 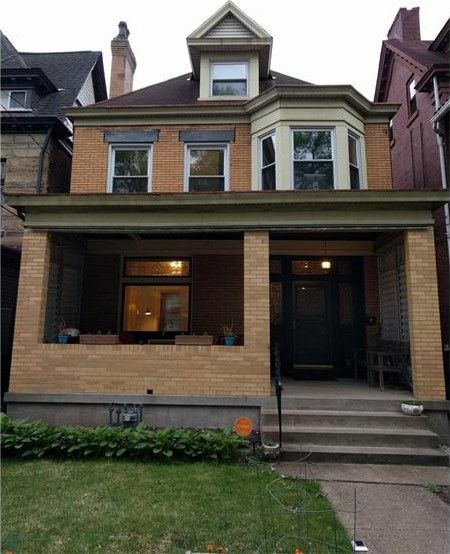 112 Waldorf St. in Observatory Hill lists for $359,900. Description: David Tkacik with Insight Realty calls this house, which is featured in the Observatory Hill House Tour, an “amazing farmhouse restoration.” The five-bedroom, 3.5-bath home is energy efficient and has great outdoor space. Its period-accurate kitchen has a custom handmade hutch and desk area, and a huge granite-topped island. Architectural details in the dining room include wainscoting and a box beam ceiling. The first floor also has a living room, study/den and powder room. The second-floor master has a renovated en suite with a shower and tub; a large office has custom shelving. The third floor has a craft room. Good insulation and radiant floor heat on the first and second floors keeps heating bills low, says Tkacik. Duct work is installed for central air. 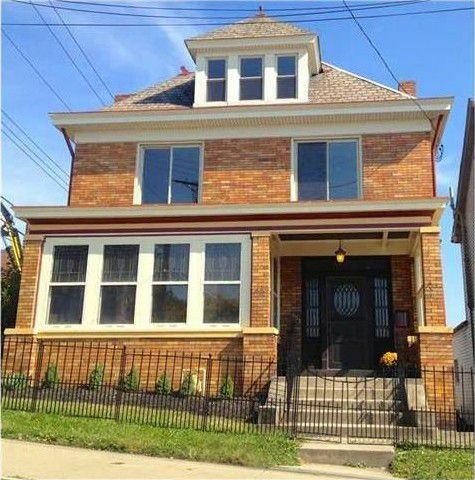 913 W. North Ave. in Allegheny West, with green door, lists for $345,000. 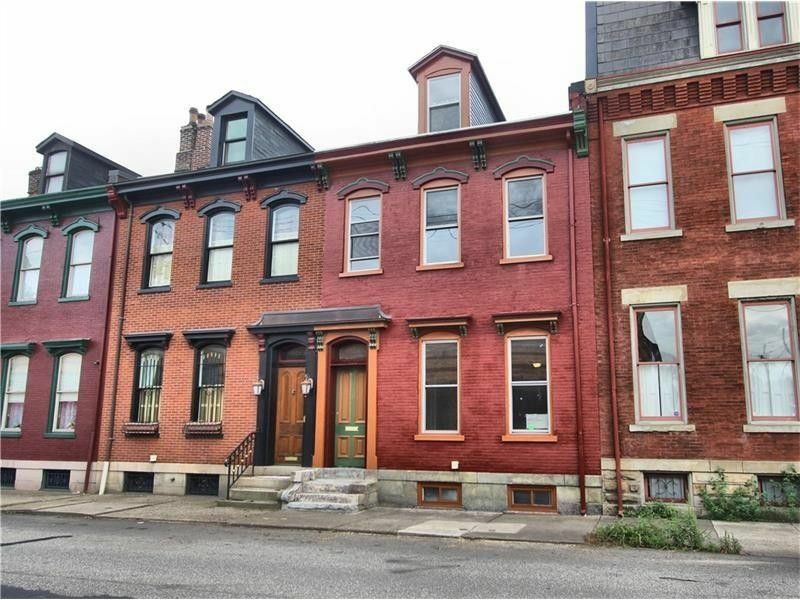 Description: This renovated home in the heart of the North Side’s historic Allegheny West district is simply stunning, says Howard Hanna agent Thom McDonell. With three bedrooms and 1.5 baths, it has original millwork and hardware, 11-foot ceilings, and gracious architectural details. The eat-in kitchen has been remodeled with granite countertops, stainless steel appliances, directional lighting, and a wine fridge. 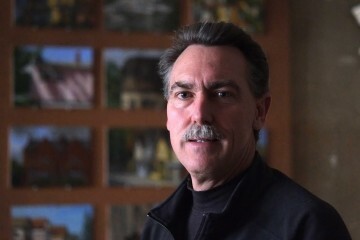 The third floor is flex space–perfect for a third bedroom, office or family room, says McDonell. A private, fenced courtyard leads to a detached one-car garage. 101 S. 11th St. on the South Side Flats lists for $359,000. Description: This five-bedroom, 2.5-bath row house in the heart of the South Side has high-end finishes, including a stamped concrete back patio, built-in cabinetry and a security system with cameras. A morning room off the kitchen has French doors leading to a private, fenced courtyard. The kitchen has stainless steel appliances and granite countertops; the bathrooms have tiled showers. This home is within walking distance of restaurants, shops and even Duquesne University across the 10th Street Bridge, notes RE/MAX agent Erin Taylor. 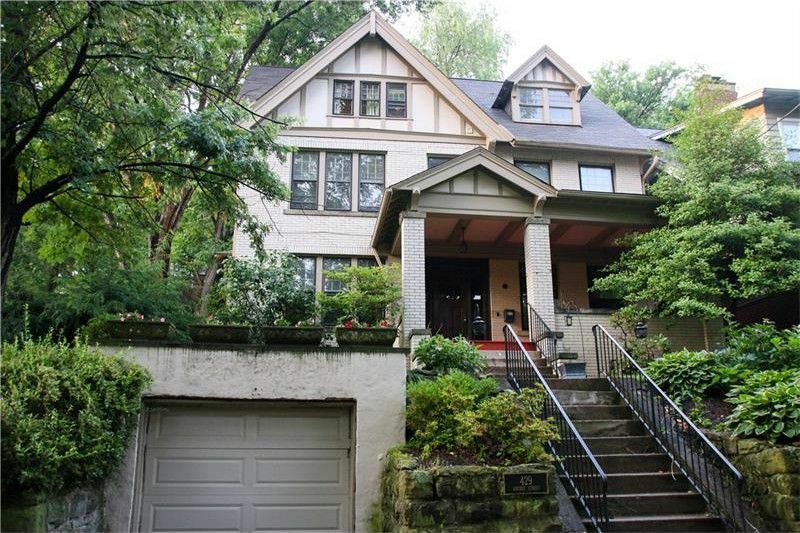 1 Monastery St. in the South Side Slopes lists for $350,000. Description: Built in 1900, this single-family home on a double lot has views of Downtown from every window, and two decks. Updated throughout, it has three bedrooms, 2.5 baths and is move-in ready, says Coldwell Banker agent Elizabeth Kofmehl. Distinctive touches include an open-air floor plan, large kitchen island, skylights, a spiral staircase and a finished basement with walk-out patio. Unit 202 at 2132 Sarah St. on the South Side lists for $365,000. 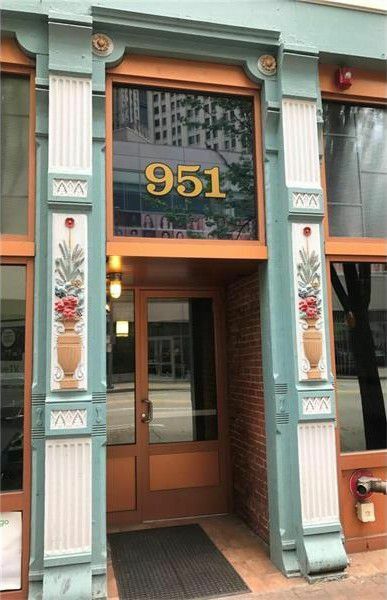 Unit 204 at 951 Liberty Ave., Downtown, lists for $334,900. Description: Want to live in the Cultural District? This one-bedroom, one-bath condo built in 1876 has been upgraded to showcase its hardwood floors, original exposed brick walls, 13-foot exposed beam ceilings and tall windows. Its open concept living area has a kitchen with granite countertops, oversized island, glass subway and mosaic tile backsplash, and stainless steel appliances. The large bedroom has custom closet built-ins. The bathroom has a walk-in shower and solid wood vanity with Carrara marble top. The rear-facing unit has a washer/dryer and utility closet, and attic space for storage. There’s a bike room on the main floor, secure entrance and shared basement with individual storage lockers, says Christopher Carr with Simple Choice Realty. 603 Boggs Ave. in Mt. Washington lists for $349,900. Description: Historical pieces enhance this remodeled four-bedroom, 3.5-bath home built in 1914, says Howard Hanna agent John Barley. Close to public transit and Mt. Washington’s iconic Grandview Avenue, the house has original woodwork and hardwood floors, stained-glass windows and two pocket doors. The kitchen has been upgraded with new cabinets, quartz countertops, a farmhouse sink and first-floor laundry. The second floor has three large bedrooms and a remodeled bathroom; the master suite on the third floor has a jet spray tub and sauna. The basement is partially finished, and the furnace is new. The backyard leads to a detached two-car garage. Unit 2 at 1825 Arcena St. in the Lower Hill District lists for $349,000. Description: This second-floor, two-bedroom, two-bath model unit in Riverview Ridge Condominiums has 180-degree views of Downtown and the East End. “The most impressive view is best observed from the rooftop,” says Howard Hanna agent Vince Penco. 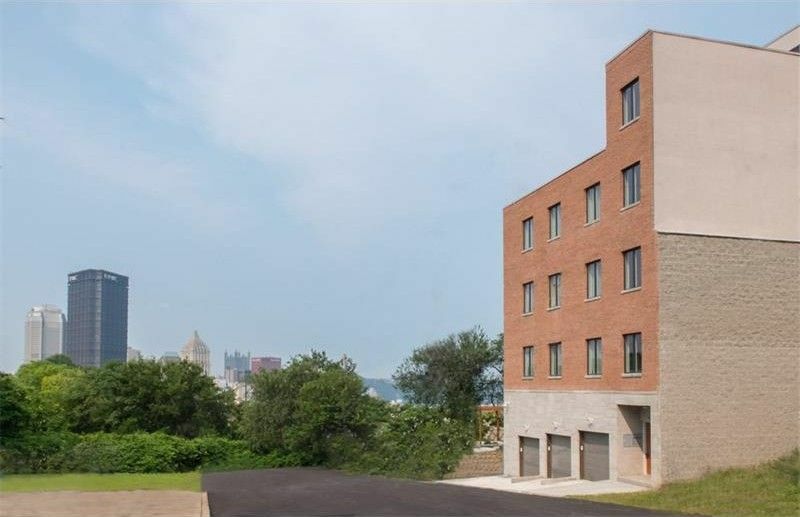 This building, with three unique residences, is close to August Wilson Park and the bus line. Amenities include a balcony, intercom, private elevator, security cameras, heated garage and storage space. The unit has hardwood floors, cherry kitchen cabinets and granite countertops; the master en suite has a walk-in shower and jacuzzi tub. The property features an outdoor terrace and fire pit. 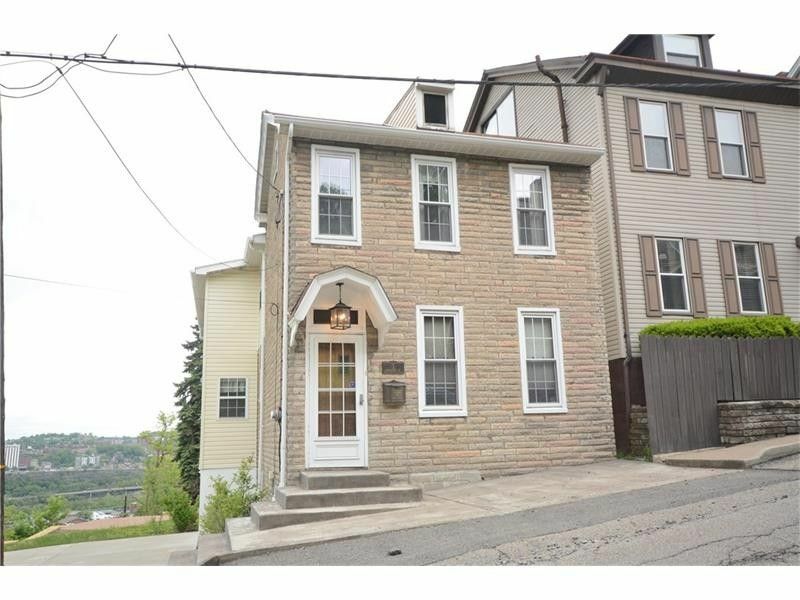 Interested in seeing what kind of houses you can buy in Pittsburgh at different price points? Check out our real estate series here.